We are one of the reputed names in the industry that offers an unmatched range of HotMixPlantsto the clients. These are fabricated using precision engineering techniques and quality materials of construction. Our range is robustly constructed and is acclaimed for easy operations and fuel efficiency attributes. 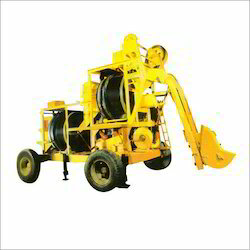 These are ideal for road construction & development and are easy to maintain. Moreover, owing to the excellent performance features and compliance with the required industry standards, our range has garnered a huge demand in the market. We bring froth our esteemed clients a qualitative range of WetMixPlants. These are manufactured using premium components and accessories in our state-of-the-art manufacturing unit. 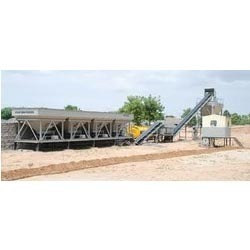 Our personnel make these wet mix plants available in fixed or variable speed drives and also with adjustable gates at its bins. These are widely acclaimed by our clients for optimum performance, robust construction and simple to use controls. Looking for Mix Plants ?